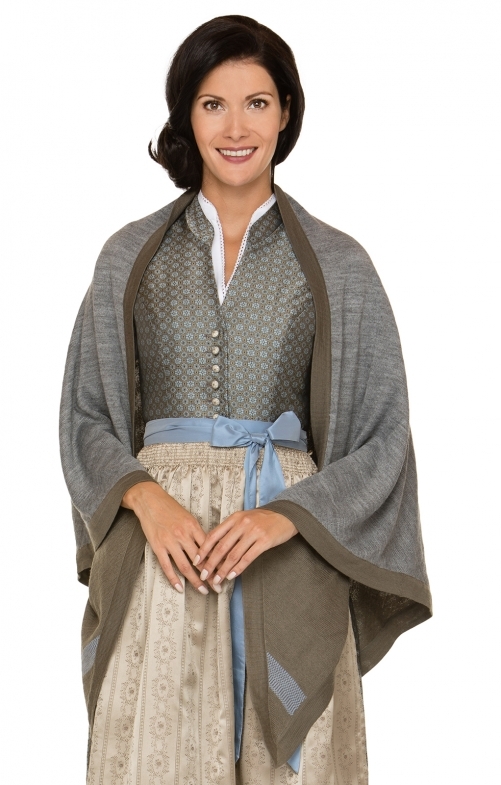 Traditional stole SH-385 for ladies by Stockerpoint in grey-taupe. Particularly elaborately woven, decorated with a traditional design and elegant fabric, this stole adds a special touch. The elegant companion for stylish moments.